What Happens If I Can’t Pass The Chapter 7 Means Test? If you’re unable to pass the Means Test, then it’s certainly time to hire a bankruptcy attorney (if you haven’t already). When you file a St. Louis Chapter 7 bankruptcy, a large amount of information is provided to the court. All your real estate, personal property, stocks, bonds, and other property has to be disclosed. All sources of income need to be revealed. And all of your debts have to be shown. In addition, it is important to determine what your household size is, because this will initially determine whether or not you pass the vaunted Means Test. The Means Test is a mathematical formula that was devised by the US Congress (actually, a bunch of lawyers from major credit card companies who lobbied Congress very aggressively) to eliminate all the ‘abuse’ that had evidently been occurring (according to majority in Congress at the time, there had been widespread abuse of the system by people all over the place filing for bankruptcy on a whim). The test is supposed to determine whether or not your income is sufficient to support you without having to file for bankruptcy. This test is broken up into two parts: First, if you are below a certain median income level, then you will most likely qualify for a Missouri Chapter 7 (assuming you haven’t filed a Chapter 7 within the last eight years), and not have to deal with the Means Test at all. So for instance, according to the government, the average or median income for a household of two is: $50,603 (as of November 2, 2011). If you are a household of two, and your total household income is less than this amount, you can do a Chapter 7. If you are above the median income level, that doesn’t necessarily mean that you can’t do a St. Louis Chapter 7. At this point, all the deductions and exemptions that the government allows you to take come into play. Things like the amount you spend monthly on healthcare-related expenses, the amount of tax deducted from your paychecks monthly, any court-ordered child support or maintenance, or childcare-related expenses, and the amount you contribute monthly to charitable organizations. There are several other deductions that can be taken as well, such as expenses for a car, a house, and what you spend on regular living expenses. But if after all of these deductions and exemptions are taken you still do not pass the Means Test, it is most likely that you will have to file a St. Louis Chapter 13 bankruptcy. This type of bankruptcy is described as a repayment plan over the course of three to five years, in which certain debts are paid back over time. 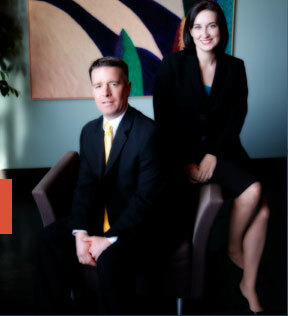 The affordable St. Louis bankruptcy lawyers at Brinkman & Alter, LLC have calculated thousands of Means Tests since the formula was put into place in October 2005. Our goal is to make sure that each client receives the best possible outcome available, and put you on the road towards financial freedom. All phone conversations and office consultations are free of charge.